I don’t know about you but I think it’s time for a bit of a proper introduction, if you don’t mind, dear reader. 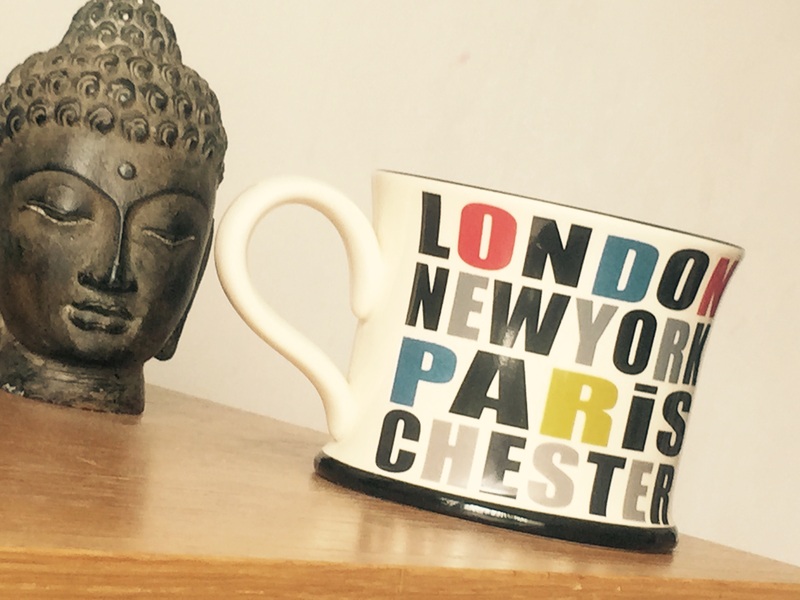 So can I say a warm hello and welcome and a huge thank you for reading my little blog all about culture in and around Chester. I’d also like to say right here and right now that I am one happy woman after taking the plunge and setting up We Are Chester. I’m hugely excited about the opportunities ahead, which already seem to be gathering steam. The idea for We Are Chester kind of took me by surprise, since I do actually have what is pretty much a full-time job and three children to raise, but if there’s one thing I’ve learnt during my time on this planet it’s that everyone needs a dream and we should do all we can to pursue that dream. My aim is to build a community of contributors of all ages, young and old, residents or visitors to Chester alike. Could you be that person? Have you got a story to tell about what Chester means to you or what you love about the city? A little bit more about me: I’m a journalist and PR/social media professional who also teaches at Glyndwr University in Wrexham. I’m privileged to be surrounded by inspirational and talented creative people. I’m also lucky enough to be constantly inspired by my lovely students at Glyndwr, where I lecture in journalism and media communications. I have always loved writing and meeting new people and journalism and communications are in my blood. I’ve also enjoyed venturing out to various events, from Moonlight Flicks and the Wayword children’s literature festival to live music and the Midsummer Watch Parade. So when the idea for this blog popped into my head earlier this year, I jumped at the chance of getting creative and also having a brilliant excuse to get out and about in this fine city to talk to lots of different, amazing people. Earlier this week I also had an exciting meeting with a local arts organisation, with a view to potentially working with them in the future. I can’t say any more at this stage but watch this space. I’m keeping my fingers crossed! And I’ve already made new friends – fellow bloggers and culture vultures alike. I must say that I have found the blogging community around Chester to be an incredibly supportive one. It’s wonderful to see all this creativity at work and to learn something new every day about my home city – we really do have a lot to shout about and celebrate in our city. So if you would like to get involved with We Are Chester by contributing news of local events, articles, photos or videos relating to culture in Chester, or telling us something about what Chester means to you, then I would love to hear from you. You can contact us via wearechester@gmail.com or check out our Facebook, twitter or Instagram pages.